Many athletes receive offers well before their senior year and in some cases as early as middle school. If you are serious about playing college sports consider starting your recruiting process right away. Your recruiting process is exactly that...Yours! The only person who will be affected if you play college sports or not, or earn a scholarship or not is you. 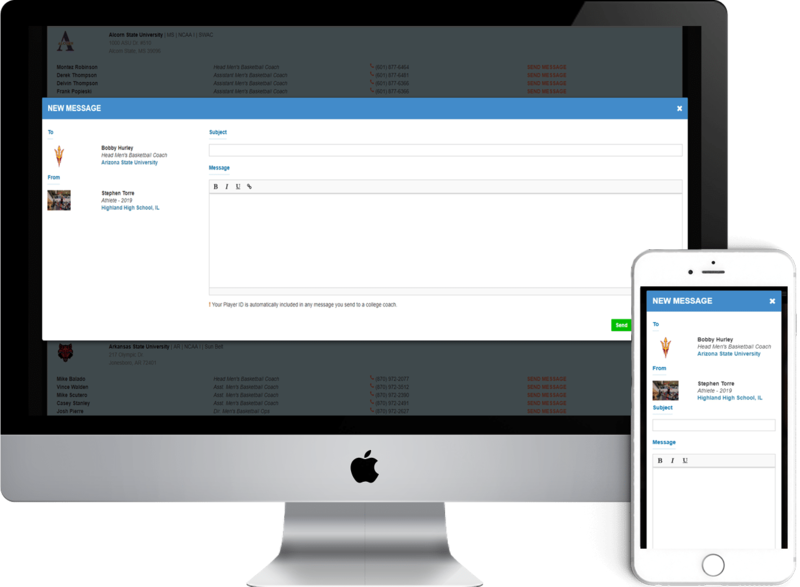 Take control of your recruiting process immediately as it only happens once in your lifetime. The first step in the recruiting process is to understand the opportunities available in your sport. 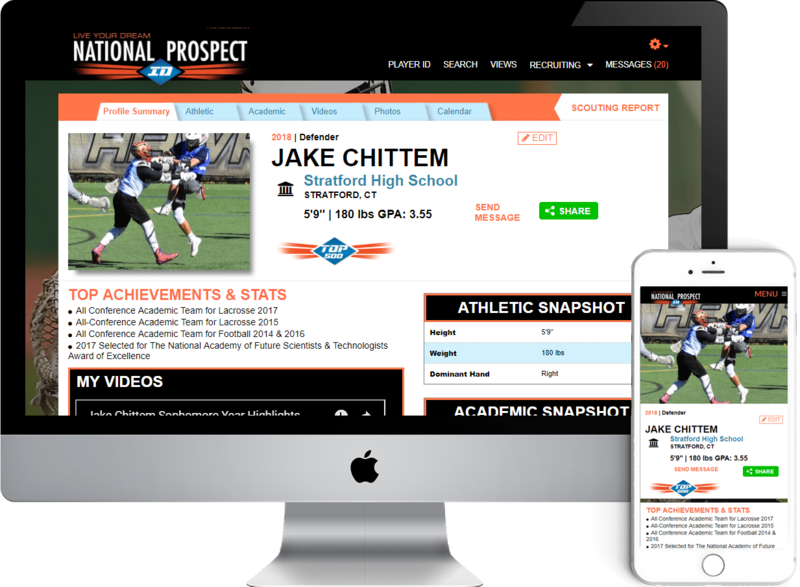 Check the charts to see how many programs and scholarships are available in your sport. In today's world of recruiting, the majority of athletes are discovered online first by college coaches. Create and build your online resume to connect directly to them. Track your playing career and get your information verified by your high school and club coaches. Show college coaches you care about playing in college by taking the time to share the full story of you. 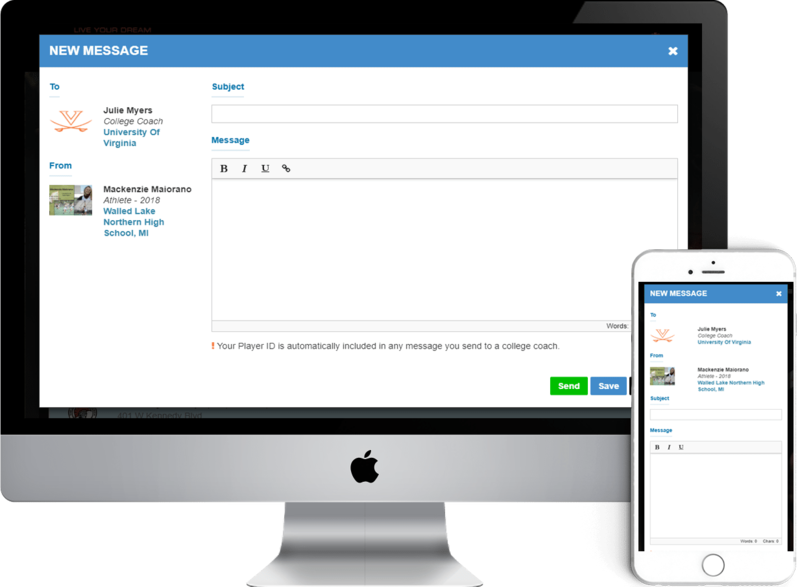 Find the right fit colleges for you and send your online Player ID directly to the coaches at those schools. There isn't a magic camp, showcase or tournament out there that will get you recruited. 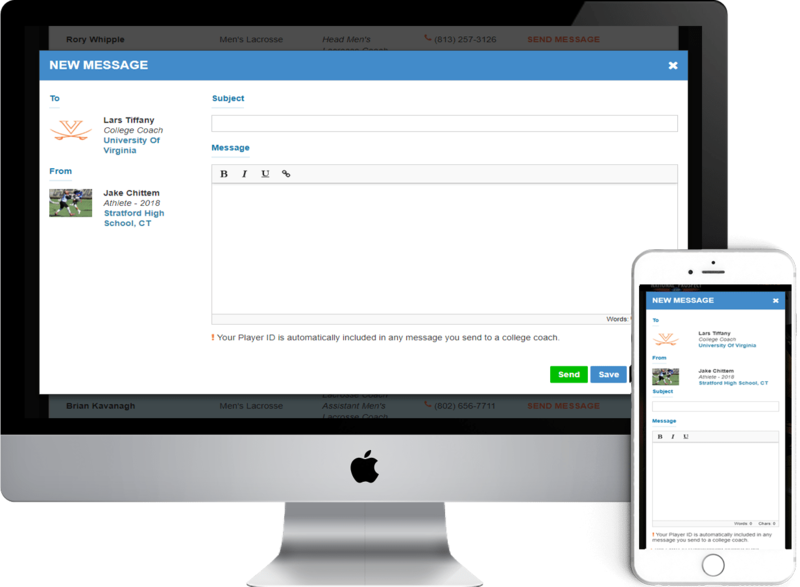 Nothing beats sending your completed, online Player ID directly to college coaches. Then when you go to a tournament or event, invite those college coaches to come see you play! Ready to Connect With College Coaches? June 15 After Sophomore Year: First Day D2 Coaches can make phone calls, send text and send email. 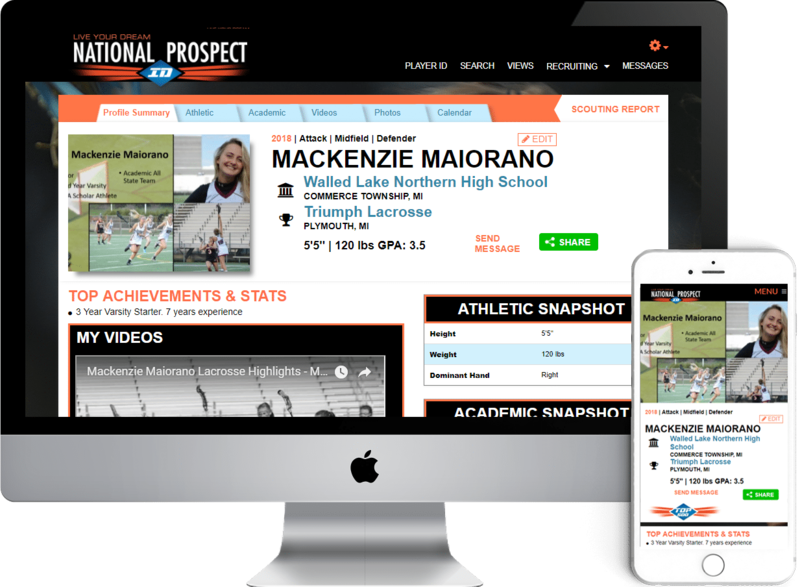 About UsLearn about why National Prospect ID is leading in athletic recruiting. RecruitingNot sure what to do? Here are some important steps to guide you. QuestionsRecruiting can be complicated. We can help with your questions. © 2019 National Prospect ID. All Rights Reserved.